HUA HIN, Thailand (Sept. 1, 2016) – Brussels. Istanbul. Nice. Hua Hin. Barely a month goes by these days when some part of the world or another doesn’t suffer a blow by extremists bent on this or that. The travel warnings sound. Governments issue statements. And no one knows quite what to do. But when it comes to Thailand, a country that has experienced its share of disruptions over the past decade, they do know what to do. They keep going, and the country continues to set tourism records, no matter the obstacle or ordeal. 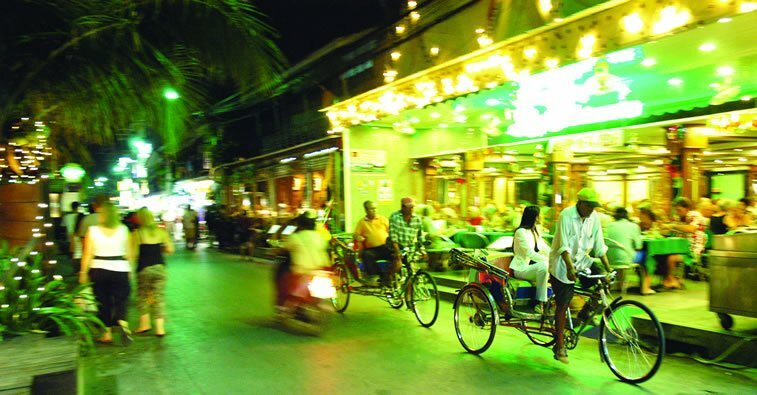 The latest setback occurred last month, when bombs were detonated in the popular resort destinations of Hua Hin and Phuket on successive days, raising concern again among those in the hospitality sector that travelers may begin to veer in other directions. Within a couple of days, “it was business as usual,” said Mark Siegel, owner of Golfasian, Asia’s leading golf tour operator. Since Siegel purchased Golfasian in 2005, the company has arranged trips for approximately 10,000 golfers per year to Thailand alone. 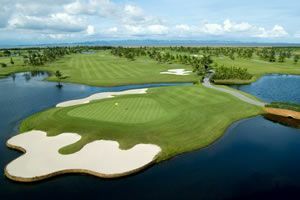 Many of those golfers are lured by the attributes of ‘Golf in a Kingdom,’ an elite golf trail that links some of the country’s top courses together, including Banyan Hua Hin, Black Mountain Golf Club Hua Hin, Chiang Mai Highlands Golf Resort & Spa, Muang Kaew Golf Club, Phoenix Gold Golf & Country Club, Suwan Golf & Country Club and Thai Country Club. 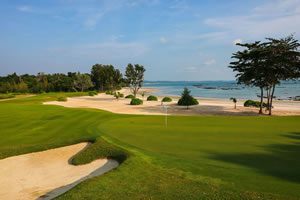 Several ‘Golf in a Kingdom’ tour-goers were in Hua Hin when the normally peaceful beach town was rocked in a way it never had been. Some were no more than a couple blocks away, enjoying a nightcap at Hilton Hua Hin’s stylish rooftop bar. The next day, Holmstrom and the other golfers he had traveled to Thailand with resumed their trip, as planned. In other words, they played golf, “because we figured the golf course might be the safest place anyway,” he said. Another Golfasian client, Justin Brown, who was also in Hua Hin at that time, stuck to the itinerary as well. Paul Deans said that is exactly what it felt like. The managing director of Golf Corner, a golf tour operator based in Perth that works with Golfasian, was in Hua Hin in the days following, chaperoning a group of seven golfers. Siegel, an American who began visiting Thailand in 1995 and eventually moved there in 2005, has never quite been able to put his finger on exactly why the country is always able to rebound quickly from a crisis. His best guess is that “people like Thailand so much they are willing to shrug stuff like this off,” he said. What he is certain about, however, is that it’s a destination unlike any other in that regard. Whatever the reason, statistics recorded by the Tourism Authority of Thailand (TAT) support Siegel’s claim that international travelers remain fond of the country that’s often referred to as The Land of Smiles. Indeed, while arrivals dipped in the week immediately following the attacks, they were quick to return to levels required for Thailand to meet its 2016 projection of 33 million visitors, which would be an all-time high. And if some of the comments Deans has received in recent weeks are any indication, many of those visitors will be golfers.